February’s Positive Change recipient is The Family Place, a social service nonprofit and day care center that assists families with children in shelter to gain confidence in building future goals that will lead to success of the entire family. In addition to providing access to basic needs, The Family Place includes education-based programming for both adults and children, aimed at building more confident and successful individuals with improved skills able to tackle life’s mounting responsibilities. The Family Place is the only day care center for families with children in Ramsey County. The Family Place was founded in 2001 by Dr. Margaret Lovejoy who, after witnessing a huge and unacceptable gap in the level of services provided by the county, used her retirement funds to open a day center specifically for families living without a permanent home. 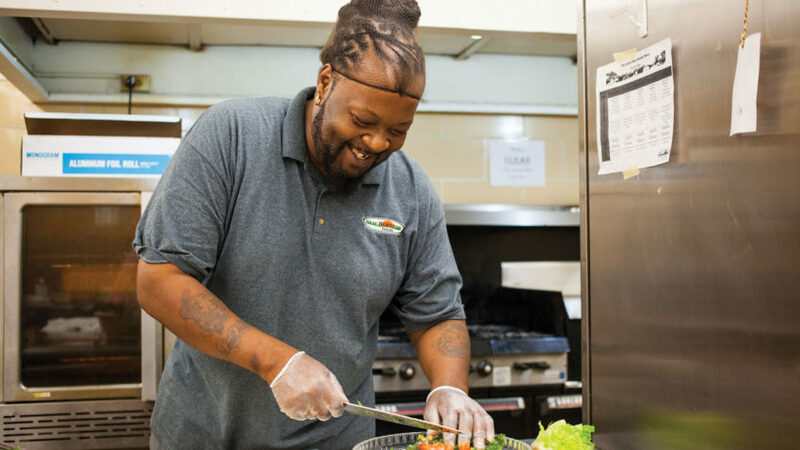 They provide housing, healthy meals, educational programming, and urban farming opportunities to those living in shelters in order to insure permanent family stability and an end to repeated bouts of homelessness. Clients who stay at The Family Place center have access to three healthy meals and a snack each day, showers, laundry and storage facilities, childcare services, pick-up and drop-off transportation services for school-aged children, and assistance accessing additional social services. By holistically addressing basic needs, including hunger and education, The Family Place brings back humility and humanity to the way shelters operate as well as an end to generational homelessness via empowerment and self-sustainability. Positive Change funds raised in February will go toward supporting their Lovejoy Community Garden to collaboratively create a beautiful garden oasis in Old Rondo that supports food equity, acts as a social and educational platform, and connects homeless youth and their parents to gardening and the greater community.